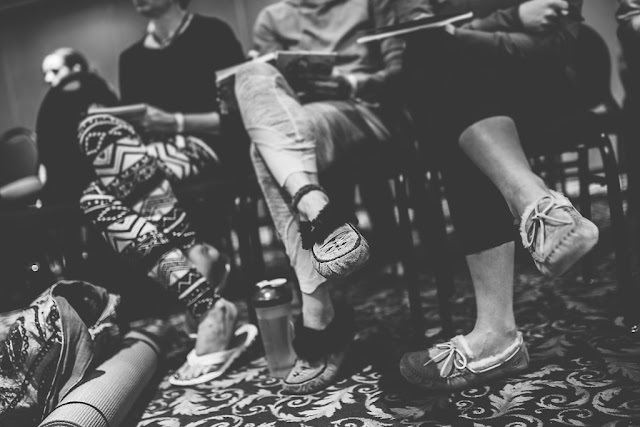 We're cooking up another epic experience for you Prairie Yogis! 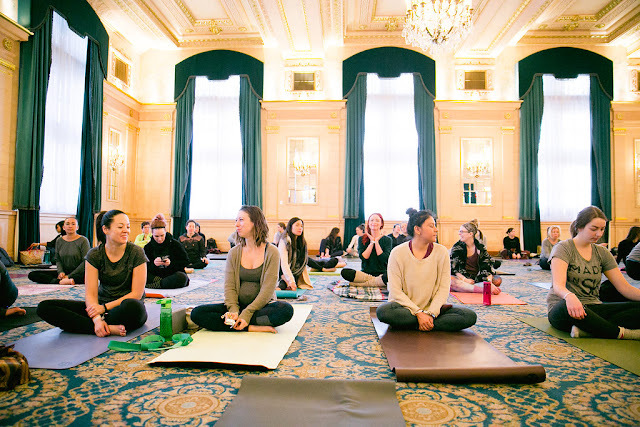 Join us on Sunday November 2nd as the community comes together to move, connect, and feast at Winnipeg's luxury boutique hotel in the heart of the city. 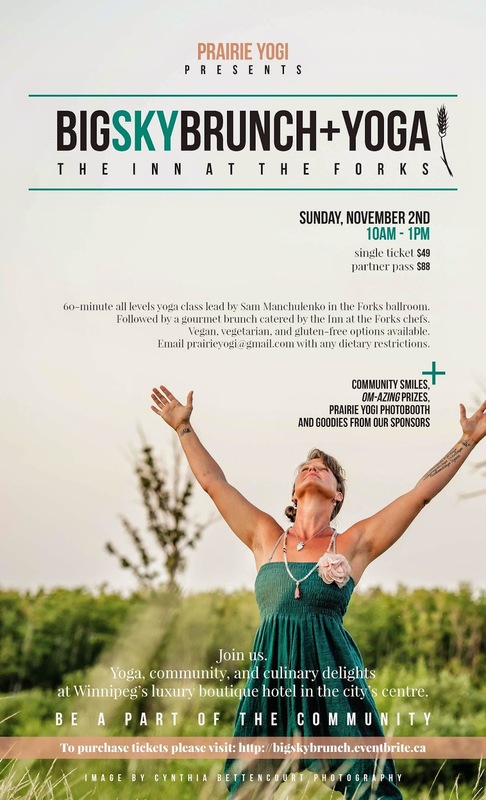 The one and only SAM Manchulenko will lead an inspired 60 min flow class (suitable for all levels and abilities), followed by community smiles, local vendors, PY photobooth, and wait for it.... gourmet brunch catered by the Inn at the Forks chefs. Vegetarian + gluten free options available - email prairieyogi@gmail.com with any dietary restrictions. Yoga, brunch, community smiles, taxes and gratuities included in ticket price. *Limited number of partner passes available. Our Big Sky Brunches are a favourite with the community! Big Sky Brunch + Yoga - Prairie Yogi from Prairie Yogi Magazine on Vimeo. Everything from the appetizers to cake from event management was flawless. I had chicken skewers, potato ravioli, and a brucetta. I can't really think of anything bad to say about the food or service.